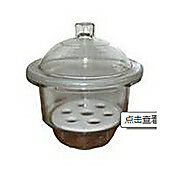 …non-stick glass surfaces bonded to metal Marked with numbered quadrants for easy location of crucibles and other containers, allows use by several people Diameter 9 inches; fits 3756H10 and standard 9 inch Desiccators (230 mm) Also available in 140 mm diameter special order Thomas # 0656H79. 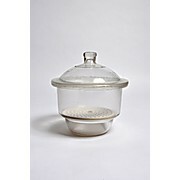 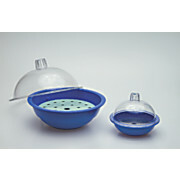 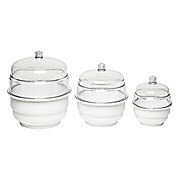 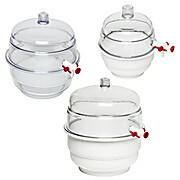 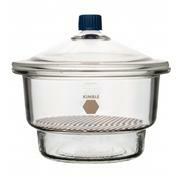 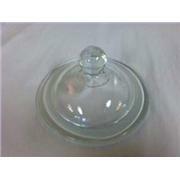 Desiccator with lid and ceramic plate. 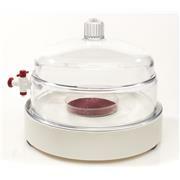 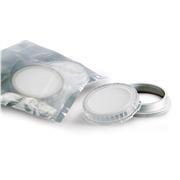 Holds a vacuum of 740 mm of Hg for 24 hours Lightweight and shatterproof vacuum desiccator; lid of transparent polycarbonate Removable pan holds calcium chloride or other drying agents; is non-corrosive Does not include desiccant or plate. 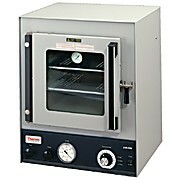 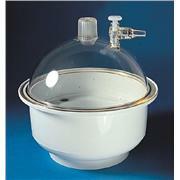 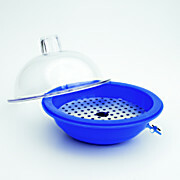 …demonstrations, this vacuum chamber can withstand a full vacuum at room temperature. 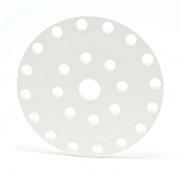 One piece O-ring seals the clear polycarbonate top to white polycarbonate base plate Polypropylene stopcock with Teflon® PTFE plug and tapered hose barb accepts tubing with 1/4" (6mm) I.D. 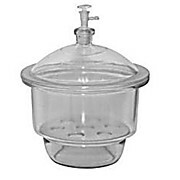 …to prevent unnecessary turbulence. 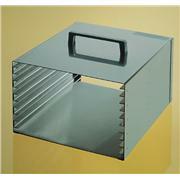 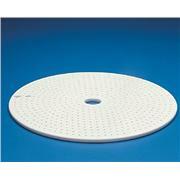 Polypropylene bottom section provides excellent chemical resistance. 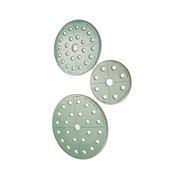 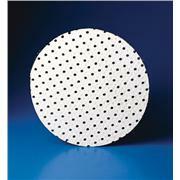 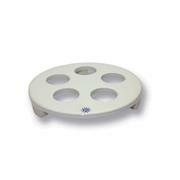 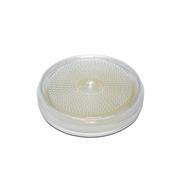 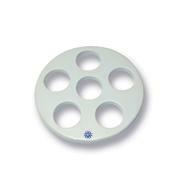 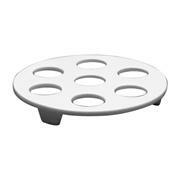 Polypropylene plate supplied is 1/8 inch thick with 1/8 inch diameter perforations for air transfer. 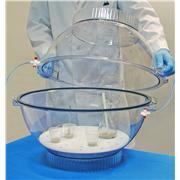 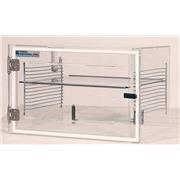 Strong shatter-proof desiccator will hold a vacuum of 740 mm of Hg, for a period of 24 hours.